Surgery is essentially an important aspect of Medical PG entrance owing to its high weightage in entrance exams. 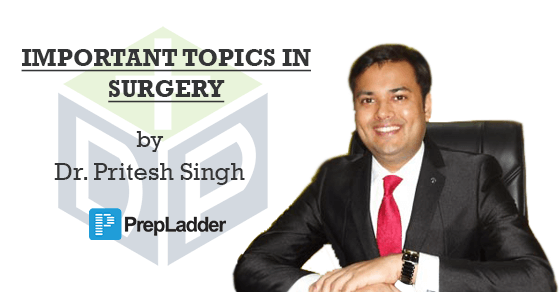 With a view to make your preparations more effective, we approached the famous faculty of Surgery, Dr. Pritesh Singh to guide you with the important topics from the NEET-PG perspective. Dr.Singh has himself prepared the list of the important topics. The app includes video lectures covering entire Surgery, Tests with Video Discussion, Question Bank, Free daily updates and much more. Stay tuned for more updates.! !